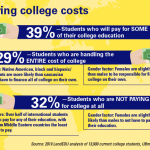 Student philanthropy programs have become common in higher ed, but few colleges dedicate a physical space for these initiatives. 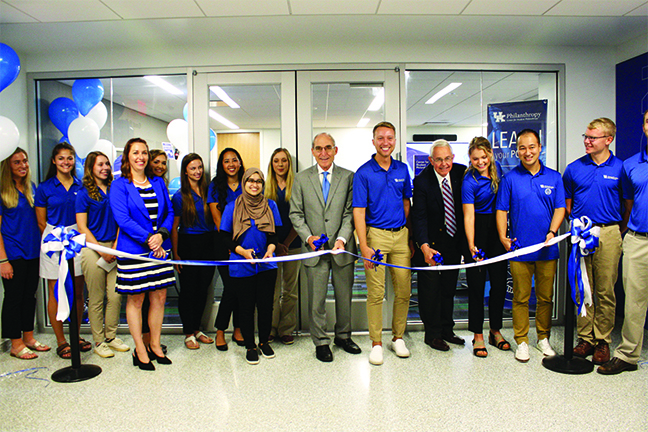 The University of Kentucky, however, recently opened an office for student philanthropy within its newly constructed student center. “Space is a hot commodity and hard to come by,” says Katie Sanders, assistant director of annual giving. Located in a hallway with other student services, such as LGBTQ resources and community outreach, the center has books on fundraising, stewardship and the importance of giving back that were donated by staff, authors and publishers. The center also features office spaces and a meeting area with a flatscreen TV. Faculty and advancement administrators staff the center, and students are encouraged to come by to share ideas for student philanthropy initiatives. The office will soon host workshops and fundraiser mentorships. 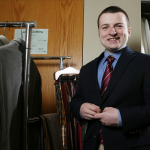 “While we want students to give back to the university, we really see this as an opportunity to teach the larger culture of philanthropy,” says Sanders. UK formed a board of 25 students who drive the center’s programming and will participate in National Philanthropy Day for the first time in spring 2019. “This group has a lot of energy and great ideas,” says Sanders. Even if advancement offices can’t secure spaces for student philanthropy, they can still support such initiatives by working with students and staff already involved in giving-related programs, says Sanders. Interns at UK managed the application process for the center’s student board and administrators created surveys to learn what students thought of giving back. The center will host workshops on digital fundraising and event planning best practices.